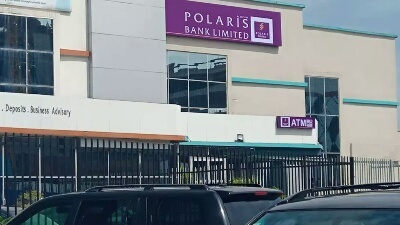 Note that Polaris Bank is the new name for Skye Bank Plc. So this information is for customers who wish to contact Polaris Bank Ltd to lay complaints, inquiries and perform some transactions. Here you will find the official cell phone number of the bank, WhatsApp chat number, the official website, social media, the official email and other relevant contact details you may have been searching for. Through these contact details, Polaris bank will have a better connection with customers thereby establishing a good customer relations. Wherever you are, you can contact the bank in several ways if you have an issue to clear with them. It is possible to chat with Polaris bank representatives from the comfort of your home, when you are on the move, at your workplace, or anywhere you are. This is one way to quickly solve your complaints, if you have any from the bank. It will be easier to create an account with Skye Polaris bank, use the ATM, withdraw money and save cash, and not experience issues with the customer service. The Bank contact details will be very handy in the day of distress. Another advantage of having the bank contact details is most cases you don’t have to go physically to the bank’s branches to solve the issues. This way you save yourself the stress and energy going to bank halls. Be prepared to do everything online if possible. You can have the contact numbers which at the present time is very important and very effective in solving your issues. Personally, I fancy contacting Polaris Bank on social media platforms as it’s faster and more convenient when you have mobile internet data. If you can wait for the customer service representative to respond, then calling the phone number is another smart option. You may be charged while calling any of the below mobile numbers so it’s advisable to have up to N200 in case your call lasts longer. These are the official cell phone numbers. Contact them at all times, holidays and weekends inclusive. So, no matter what time of day or night it is, there are always representatives to listen to your plight. Various channels for emphasis are through telephone, e-mails, social media, such as Facebook, Twitter, LinkedIn and others, and then there is the live chat. Write a letter and address it to Polaris Bank Limited, Customer Experience management Depart, 31, Akin Adesola Street, Victoria Island, Lagos. Tweet via @PolarisBankLtd on Twitter via direct messaging only. Send them a message on Facebook. Search out Polaris Bank Nigeria Plc page. I hope this post answers your questions as to how to contact Polaris Bank formally Skye Bank Plc. You may wish to check my previous article on Polaris Bank Mobile Banking Money Transfer Code and how to use it.